ESET Smart Security is a lightweight and fast internet security suite that won't slow your computer down. It's essential if you want to protect your machine from online criminals who may try to steal your personal information, or take control of your system. ESET NOD32 Antivirus is a powerful antivirus application with industry-leading, cutting-edge protection against viruses and spyware. It includes a unique type of artificial intelligence which can detect new forms of attack before other antivirus solutions even know they exist. Complete Internet security for your Mac with fast and powerful detection of Mac and Windows-based threats. Personal Firewall keeps your data safe from identity theft and other scams while Parental Control help make your whole family's online experience even safer. ESET Mobile Security has been specifically engineered to provide proactive protection for Android, Windows and Symbian phones. Features include detection of known and emerging mobile threats, anti-theft options, anti-spam and a light system footprint. Mix and match between three ESET desktop products and three ESET mobile products. Choose from ESET Smart Security, ESET NOD32 Antivirus, ESET Cyber Security, ESET Cyber Security Pro and ESET Mobile Security. There are options available for Windows, Mac OSX, Linux, Android, Symbian and Windows Mobile. Mix and match between five ESET desktop products and five ESET mobile products. Choose from ESET Smart Security, ESET NOD32 Antivirus, ESET Cyber Security, ESET Cyber Security Pro and ESET Mobile Security. There are options available for Windows, Mac OSX, Linux, Android, Symbian and Windows Mobile. Why are our prices so competitive? We are an officially authorised UK Partner of ESET and are able to offer discount prices on Licences for business or home users. We provide both new ESET NOD32 Licences and renewals for existing Licences at prices which we believe to be the best available. 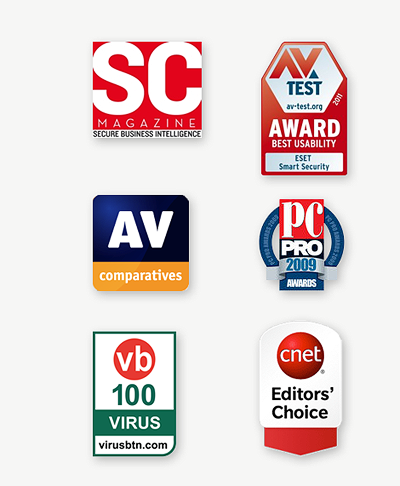 When you buy NOD32 and Smart Security discount antivirus Licences from us you can be assured that we are offering some of the the best prices on the internet. We regurlarly pass on discount ESET NOD32 Licence and discount ESET Smart Security Licence offers for free additional time periods and users. Make sure you check back regularly to see what offers we are currently running. To help reduce costs the LSO turns off its computers and related equipment when not in use. This means that vital tasks such as virus scanning must be carried out during office hours at a time when it is least disruptive, normally on Friday afternoons. However, when scanning started to impact heavily on performance of the network and the productivity of employees it was decide to look for a new supplier. “We chose ESET because of its small installation, relatively low demand on system resources and its high malware detection rate. It’s also worth noting that the technical support we have received from ESET has been absolutely great. One of the aspects we like about Endpoint Antivirus is that it can be configured to work exactly how we want it to, but sometimes this means a call into ESET just to clarify a technical point. Every question or issue has been dealt with by extremely knowledgeable and helpful people. They really know their product well." Endpoint Antivirus can be configured to suit an organisation’s individual needs. Typically, companies require minimal user intervention and it is automatically set to delete or quarantine all suspicious files, reporting incidents to the administrator through the centralised management console. “We’ve been using ESET Endpoint Antivirus since 2005 and ESET is still the vendor with the most VB100 awards and the one that as the smallest footprint, two of the key reasons we chose the product in the first place." Ensuring that computers remain virus free when they are used by hundreds of children everyday to surf the web, collect email and plug-in a myriad of storage devices is just the sort of challenge that has given ESET Endpoint Antivirus its enviable reputation. “I find the management console very intuitive and hardly need to refer to the manual at all. It is also very flexible in its use and every aspect is clearly laid out. When we first changed over to Endpoint Antivirus we had the entire product installed and rolled out onto the network in no time at all problem free. Since then we’ve not had much to do with it. The product manages itself more or less and I receive email alerts should there be any queries or a problem." Dorset County Council chose ESET NOD32 Antivirus to protect its IT infrastructure back in 2005. Although it has periodically considered other competitive products, it continues to use ESET because of its reliability in stopping threats entering the network, its light footprint that helps to extend the lifetime of older machines and an extremely fast scanning speed. In 2005, after a rigorous assessment of several leading antivirus products, the council chose ESET Endpoint Antivirus. “The first thing we noticed when we switched to ESET was that the number of malware related incidents on the network dropped right off, and it’s not because the amount of malware has diminished either."